When Chicago Bears quarterback Mitch Trubisky threw six touchdowns in late September, Chicago’s sports historian thought of Sid Luckman, who once threw seven. As the Bears 2018-2019 defense celebrated takeaway after takeaway, he was reminded of the ’63 team—that was his father’s squad, and one of the best NFL defenses ever. His research aids his memory— and vise versa—and his writing lets contemporary sports fans in on unexplored pasts. Jack Silverstein is that sports historian. The 37-year-old journalist keeps the legends of Luckman, George Halas, and Walter Payton alive. The average fan perceives a sports achievement as unprecedented but Silverstein’s work reminds them that it’s probably not. As Brian Urlacher became eligible for the Pro Football Hall of Fame, the Chicago sports guru made sure that his Twitter followers remembered every accomplishment of his 13-year career with the Bears. Silverstein has written for a variety of Chicago sports media, including the Chicago Sun-Times, the Chicago Tribune and the Windy City Gridiron; a SB Nation affiliated blog covering the Bears. His Twitter account, @readjack, is the premiere destination for Chicago sports fans interested in the history of their favorite teams. On his Instagram account, @ashotonehlo (named after the call of Michael Jordan’s famous game-winner versus the Cavaliers in 1989), he posts largely forgotten tales— how the Chicago Bears-Chicago Cardinals game on December 7, 1941 at Comiskey Park was interrupted by the announcement that the United States had been attacked at Pearl Harbor. George Halas, the Bears legendary head coach, declared his decision to join the war effort at halftime of the game, Silverstein explains. As the Golden State Warriors prepared to surpass the 1995-1996 Chicago Bulls regular season record of 72 wins, Silverstein wrote “How the GOAT Was Built,” a book focused on that Bulls team, and six lessons that can be learned from them. Greg Braggs Jr., a bricklayer and Chicago sports fanatic who has gained a following large enough to wade into the media waters himself, connected on Twitter with Silverstein after recognizing his one-of-a-kind sports history threads. Silverstein grew up in Evanston and later moved to Wilmette, attending New Trier High School in Winnetka. When he is doing research that’s not numerical for a book or an article, his steadfast persistence aids him well. He once interviewed the mayor of Evanston—that was in third grade. Later, he worked for the school newspaper in his undergrad career at Indiana University. After college, he leveraged his niche to freelance for Chicago publications while working full-time for non-sports outlets, like the Chicago Daily Law Bulletin. Ironically, Silverstein now spends his days writing about the future. As his Twitter bio states, he’s a “Sports Historian & Aging Futurist”. He’s the Associate Editor of Branded Content for Aging Media, where he writes about what the future holds in regards to care for the elderly. Chicago sports fans may not have a time machine, but they have Silverstein. If the ESPN 1000, 670 The Score, the Chicago Tribune and the Sun-Times are the bread and butter of a Chicago sports media diet, Silverstein is the vegetables. He’s the vital but often forgotten component. 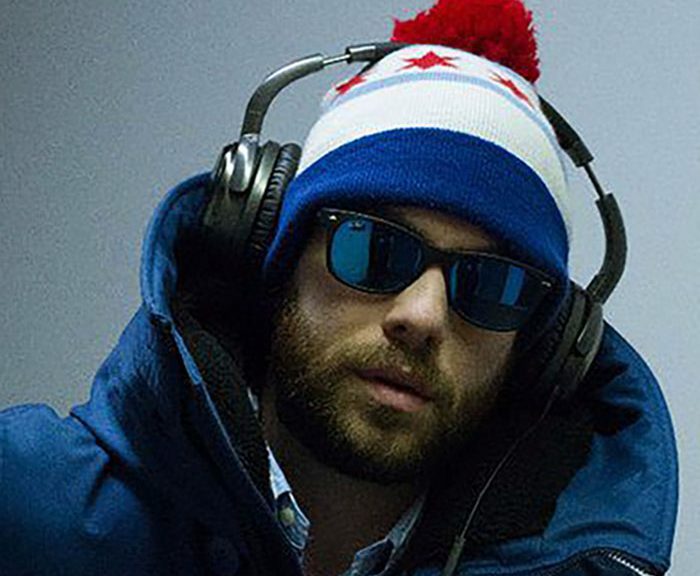 His work is a guide to becoming the most knowledgeable Chicago sports fan possible. And as for sports debates, it’s better to sit those out when he’s around. “Yeah, my stuff is just unfair,” Silverstein said.